What just happened? Virgin Galactic pilots have been making test flights to the edge of space for a while now. On February 22, VG’s spaceplane VSS Unity took its first passenger. It was no ordinary flight as the passenger was Virgin Galactic’s own Chief Astronaut Instructor Beth Moses. The short test flight made Moses the first woman to fly to space on a commercial craft. It also made her the 571st human to travel to space and earned her qualification for her commercial astronaut wings from the FAA. 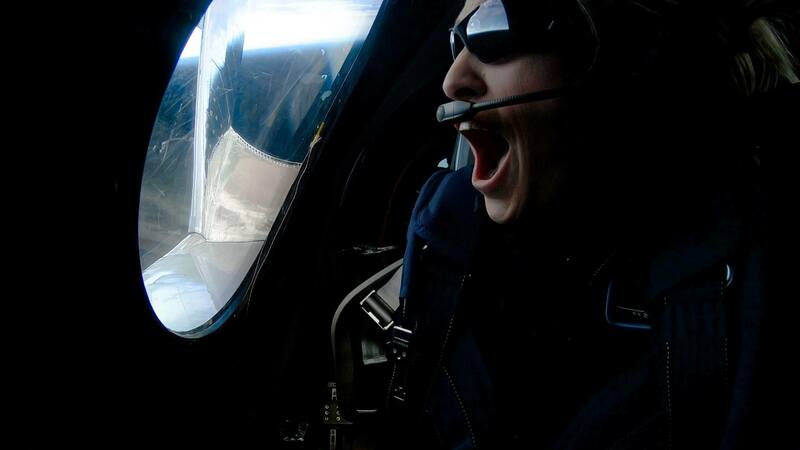 Even though, the instructor has many hours of high-G centrifuge experience, simulations, and parabolic flights behind her, the trip and the 55-mile-high view from space left Moses in awe. The flight was not all fun and sightseeing though. Moses conducted several tests during the trip to have a better understanding of what passengers should expect, how they should egress their seats, and the best positions in the cabin for viewing Earth. Due to the short flight time, her tests were not just casually enjoying the experience. “I had a strict timeline of where to be, and what to evaluate, and how to do it,” said Moses. All her observations and tests will be used on the ground when training passengers for future flights. For example, it was critical for her to know how long it takes to get in and out of your seat. Since flight time is limited, passengers need to know when to get back into their chairs to be safe. Moses indicated that Virgin Galactic is still a good ways away from taking up passengers from the general public. Even though it has been over four years since a fatal crash left one VG pilot dead, engineers, pilots and trainers still have a lot to do to ensure flights are as safe as possible. There are still many tests to perform, and other employee passengers will probably be going up to perform observations and testing similar to Moses'.